Organizations in and around the healthcare industry are starting to experiment with voice tech. They include care facilities and other healthcare providers, healthcare agencies, researchers, pharmaceutical companies, nonprofit organizations, payers, large tech companies and startups. 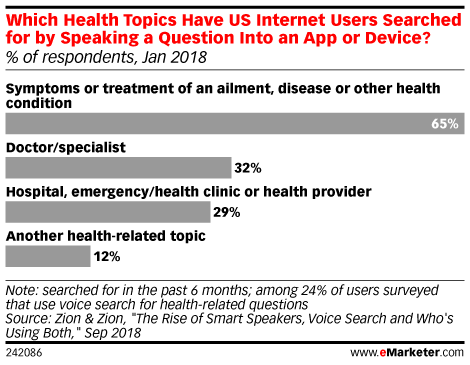 Voice applications can provide information and awareness about health conditions, locate facilities, enhance patient-provider communications, encourage medication adherence, foster brand loyalty and potentially drive better medical outcomes. Read the rest at eMarketer.